Very slow start-up and response. Freezes every now and then. Restarts itself in middle of programs. Sending random emails to people in address book automatically. No or limited internet connectivity. Crashes in between programs and/or restarting itself. Does not allow you to install a new program or anti-virus. Does not allow you to access disk drives or printers. 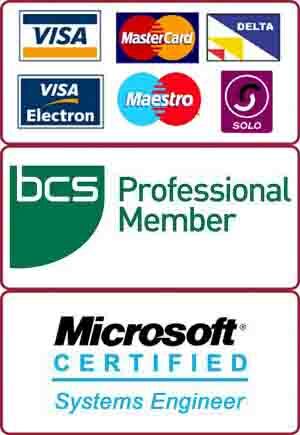 Our certified engineers in Southfields specialize in PC and Mac virus removal WITHOUT any loss of data or applications. Unlike other companies, we do not wipe any of your files or folders during Virus Cleanup. Our first priority is to protect our customers’ data and programs. We do everything we can to protect your valuable information. We charge a flat fee for Computer Health Check service. This service includes cleanup of viruses, Malwares, Trojans, Adwares and un-necessary services. Start your Windows PC in Safe Mode (with networking). You can do that by pressing F8 key when starting your computer. Your computer will prompt you and you should select “SAFE MODE WITH NETWORKING” option. If you have access to another computer then download Malware Bytes Anti Malware program from Bleeping Computer website and transfer the file to infected computer via a USB stick etc. If not, then you can try to download it with infected computer (if it allows). Close all applications on your computer (including Internet Explorer or Google Chrome etc). Double-click mbam-setup.exe to run Malware Bytes. Follow the instructions on the screen and install Malware Bytes. Do not change the default settings. When the installation finishes, do not forget to tick the Launch Malwarebytes Anti-Malware before clicking the Finish button. When program starts, click on the Scan button. If it prompts you to install any updates, click the Update Now button. Now it will scan for Malwares and Viruses in your computer (it may take very long to scan, so wait for it to finish). After it has finished scanning it will display the list of all viruses. Click on Apply Actions button for Malwarebytes to clean the infections. If you live in Southfields and want us to clean your computer then call us now on 0207 6100 500.